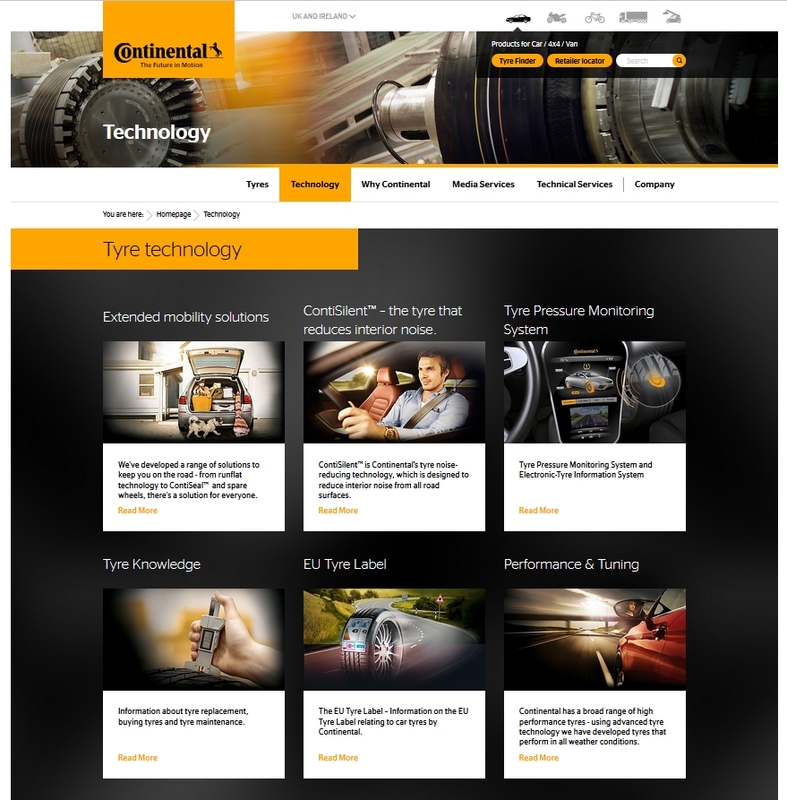 Continental Tyres has given its website of the Tyre Division www.continental-tyres.co.uk a complete makeover and aligned the relaunched version with global sites. “Increasingly our customers are turning to the Internet for information about our tyres,” explains Stephan Meier who heads up eBusiness EMEA at Continental. One key feature of the new website is the tyre and dealer search function. But the new navigation and content concept also caters to other user groups, such as the dealers themselves, who can make use of features including a new download area, and journalists, for whom photo galleries and embedded videos facilitate the composition of their articles. In addition, Continental has opted for a responsive design with an all-new colour-scheme and the revamped site has been optimised for mobile devices such as smartphones and tablets. “We want to make the relevant information available to the various user groups no matter what kind of terminal device they use, because that’s taken for granted these days,” underlines Wiebke Wallenwein, Team Leader Online Marketing, who is in charge of the relaunch project. The integration of numerous large-format photos and videos has boosted the entertainment value of a visit to the Continental website significantly. At the same time, visitors to the site can access information from all parts of the Tyre Division. Along with product content on car, truck, specialty, bicycle, and motorbike tyres, Continental also offers a wide range of background information on the value proposition of premium Continental tyres and the technologies that this leading tyre manufacturer deploys. 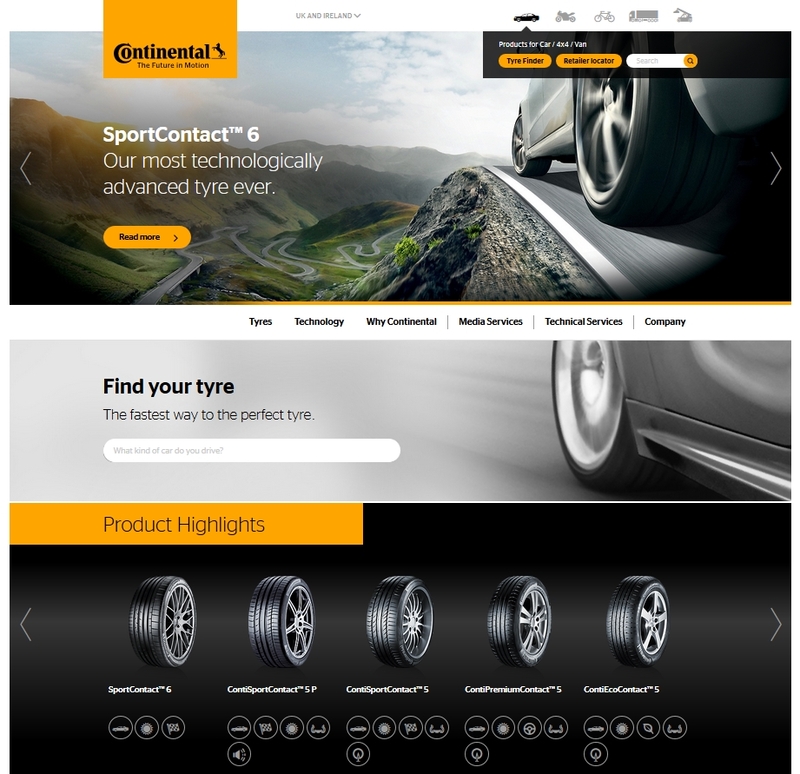 The launch of the UK site sits alongside the new global Tyre Division website, marking the first step in the worldwide makeover of Continental’s online presence in the tyre sector. “In the next few weeks we will be rolling out the new-style content and design in some 50 countries in Europe, Asia, and America,” Wallenwein adds. The Tyre Division’s new German website went live on September 15 at www.continental-reifen.de. The current highlight here is the brand new super sports tyre, the SportContact 6, which was officially launched at an event for international journalists and dealers at the Bilster Berg Drive Resort at the end of August. The SportContact 6 is now available in 41 sizes from 19 to 23 inches and made its trade-fair debut during the press days – September 15 and 16 – at the International Motor Show (IAA) in Frankfurt am Main. At the IAA, which ended on September 27, under the motto “Connect yourself with the world of future mobility”, Continental offered comprehensive insights into the Corporation’s latest passenger car technologies from the Chassis & Safety, Powertrain, Interior, Tyre, and ContiTech Divisions.